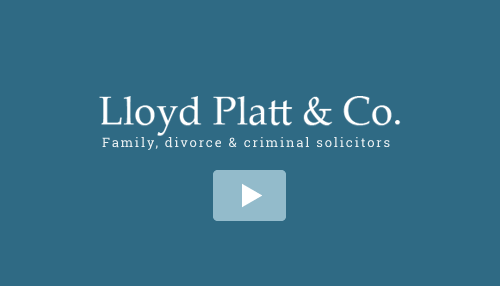 Lloyd Platt & Co is one of the UK’s leading divorce solicitors and family law firms. Based in London, we pride ourselves upon our caring approach to all our clients. Going through the divorce or criminal process can be a stressful experience for all parties concerned. At Lloyd Platt & Co our solicitors identify the most efficient strategy to make what can be the difficult divorce process easier. There is always a solution. Lloyd Platt & Co represents men and women from all walks of life who find themselves in marital and family breakdowns. Our team of experienced criminal, family and divorce solicitors are here to give their expert advice an support. Vanessa has produced a series of informative videos about all types of family law and divorce matters such as prenuptial agreements, adoption, financial settlement, cohabitation, mediation and more.